Suggest to incoming VP-Memberships that it is advisable to keep a separate sign-in for elected officials (to speed their movement into the room and to keep the Membership tally clear). Hilary suggested Dems see Rita’s Facebook page for great photos! Peter will have emailed Rocky the delegate info on the official form. Consensus was reached that including delegate candidate statements on the ballot was a good idea. D. Holiday Party: Dessert potluck at Hilary’s on Friday, December 8, starting at 7 pm. Hilary will provide the mulled wine. Peter will check to see if Mister, Mollie and Gabe can attend. E. Next year’s officers: Currently we have vacancies in Membership, Publications, and Records. Peter will talk to other current officers to determine whether they are continuing. G. Website/Newsletter/data topics: The Board discussed the way in which our Publications need management by someone with an IT background and web experience. We also discussed how the Membership role might be enhanced by a database application (e.g. SQL) to enable keeping member lists, dues paid, and the ability to link to mailing/e-distribution (MailChimp, etc) to be done more coherently. Greg and others attending thought some budget amendments should be discussed at the next meeting, probably mostly 2018 calendar year costs or revenue. – increased fee for those few (~ 35 people) who receive a hardcopy newsletter. Tom Cesa suggests that the price should be an amount that is distinguishable from a regular membership. Peter – February 27 meeting: AD15 Endorsement. At least 9 candidates at 10 minutes per? Invite our current assemblymember Tony Thurmond to attend. Peter/Mister – Save the Date announcement at this Sat. Nov 4 forum at CCC re Feb 27 2018 for AD 15 candidates/endorsement. Peter- to contact WCCUSD about the cost of venue. Peter- July or August: Candidate meeting at ECHS for down ballot races: city council, community college, District Attorney, Regional Parks, Assessor, etc. –Recruit walkers for November ballot…. 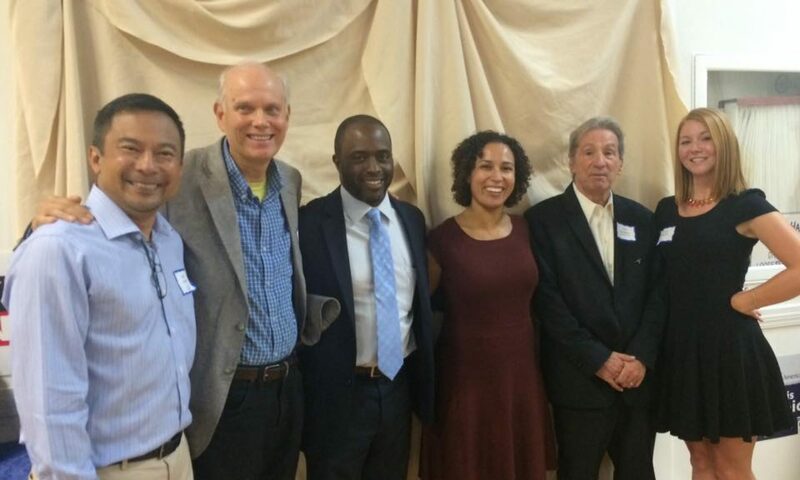 Tomorrow, Saturday, October 28, is the Annual El Cerrito Democratic Club Dinner. It is also the day we will elect members to be delegates to represent our club at the California Democratic Party (CDP) endorsing caucus, which will take place in January, 2018. If you were a member of the ECDC as of June 30, 2017 you are eligible to be a delegate. Please submit your statement of up to 50 words to ecdc.pres@gmail.com by 8 pm tonight. We will have ballots at our dinner which will be available for ALL ECDC MEMBERS at 6 pm whether they attend the dinner or not. Once again, in order to run, you must notify our club president Peter Chau via email by 8 pm tonight. Please send an email to ecdc.pres@gmail.com. Use “I want to run” as the subject line. Include your statement of up to 50 words as the body of the email. In order to vote, please come by the Arlington Community Church, 52 Arlington Avenue, Kensington, between 6 and 7 pm and pick up a ballot. Ballots will be collected until 7 pm, and the results will be announced at the dinner.